Entry fee: 3 images - free of charge. Additional images - £2 (GBP) per image. 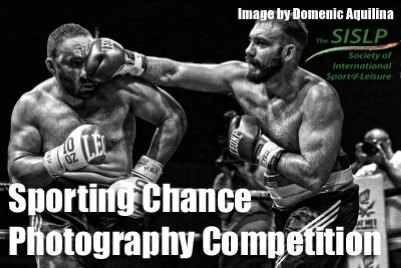 Any image that depicts this lively theme of any sport may be entered and must show the all important decisive moment. The sport may be a top-flight professional team or just people enjoying their sport in their local community. It could be an individual who has just scored that goal or just won that important point – or just about any other participant who contributes to the story behind the sporting chance..